Organic chia seeds are a potent little superfood extracted from a variety of Mexican mint plant, which has been used as a valuable source of food and medicine in South America for thousands of years. Indeed the Aztecs once held these tiny seeds in such high esteem that they were even used as a form of currency. They range from marble to white, brown, purple and black in colour and are literally teeming with beneficial nutrients such as vitamins (vitamin A), minerals (including calcium, potassium, magnesium, zinc, phosphorus, manganese and sodium), protein, fibre, omega-3 fatty acids and antioxidants. 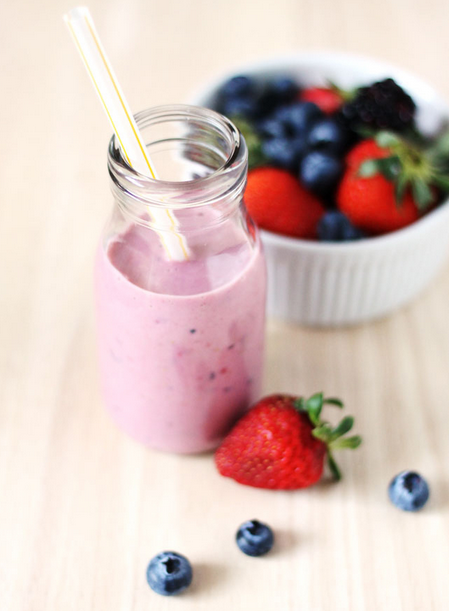 This vibrant smoothie with organic chia seeds is bursting with flavour of berries and fruit. 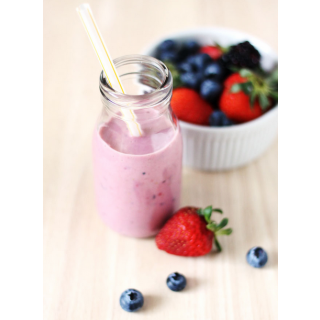 And, as it’s prepared using wholesome raw almond milk instead of cow’s milk, which means this delicious smoothie can be enjoyed by all those on an rawfood, vegan or vegetarian diet. Simply place all of the ingredients into your blender, blitz for approximately 30 seconds or until nice and smooth and hey presto! Pour into a glass and try serving with an additional sprinkling of organic chia seeds and some crushed ice for good measure.